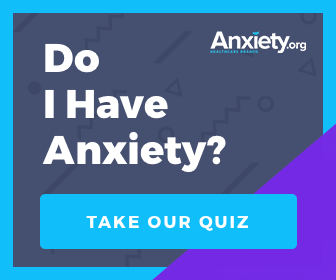 Anxiety disorders, which affect approximately 20% of children and teens, include obsessive-compulsive disorder, post-traumatic stress disorder, separation anxiety, social anxiety disorder, and panic disorder. Diagnosed children suffer from ongoing fears that interfere with their daily routines. Many cannot go to school and experience physical consequences from their emotional distress. Their peer relationships are also often negatively impacted. Symptoms are similarly exhibited in children as in adults, and the causes may be attributed to genetic and environmental factors. Australian and British scientists discovered a genetic marker in children that may be used to determine which youngsters with anxiety disorders will benefit most from cognitive behavioral therapy (CBT). The study, recently published in the journal Molecular Psychiatry, represents the first time genetics has been applied to predict the efficacy of a specific treatment in children. 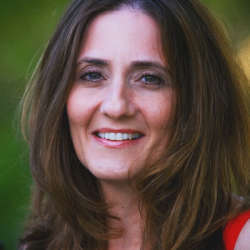 The team, headed by Associate Professor Jennifer Hudson of Macquarie University in Sydney, Australia, and Thalia Eley, PhD, from King's College London, England, examined whether a relationship exists between treatment response and 5HTTLPR, a genetic transporter for the hormone serotonin. Serotonin is a neurotransmitter that regulates mood and emotion, with various antidepressants and anxiety medications aimed at modulating it. It is a naturally-produced hormone necessary for nerve cell and brain function. CBT is a form of psychotherapy that directs the patient to recognize the relationship between thoughts, feelings and behaviors. Treatment with a trained therapist is generally short-term and focused on teaching children with anxiety disorders to actively participate in setting goals and learning new problem-solving skills. Youngsters are taught to alter their perceptions of their surroundings to ultimately help them deal better with frightening situations. The 5HTTP gene, which was examined in the study, exists primarily in short or long form. Past research has shown that those with the short form are more likely to suffer from depression as a result of stress. New evidence suggests that the gene plays a role in moderating associated environmental factors, both negative and positive. The collaborative research entailed collecting DNA via cheek swabs from 359 children diagnosed with an anxiety disorder. All the children underwent CBT treatment, representing an exposure to a positive environment. Children with the short form of the tested gene were 20 percent more likely to respond to the psychotherapy and continue to be free of anxiety symptoms six months following treatment. While having the shorter gene type made the children more susceptible to negative reactions from stress, lead researcher Dr. Hudson, noted it may have conversely made them more likely to respond to CBT. Ultimately, the study's implications are vast in helping identify both children who are most likely to benefit from psychotherapy and others who may need additional interventions. While the field of genetic analysis continues to grow in helping researchers determine which patients may benefit most from certain drugs, this study represented the first time such analysis had been undertaken to evaluate psychological treatments. The scientists were awarded the 2011 Excellence in Research Award from Macquarie University. A video clip is available highlighting Professor Hudson and her work in this study.